Paul Kirtley is a professional bushcraft instructor. He is passionate about nature and wilderness travel. In addition to writing his blog, Paul owns and runs Frontier Bushcraft, a wilderness bushcraft school, offering bushcraft courses and wilderness expeditions. Prior to setting up his own bushcraft school, Paul spent 10 years studying and training under the guidance of world-renowned bushcraft and survival expert, Ray Mears, first as a student on his bushcraft courses and then as an employee. Paul Kirtley is one of only a few people worldwide who have been recognised by Ray Mears as a bushcraft instructor, being awarded the celebrated antler-handled Woodlore instructor’s knife. Paul started working for Ray Mears’ company, Woodlore Ltd, in 2003, assisting Ray and Juha Rankinen on bushcraft courses in the UK. Later he progressed to assisting the likes of Lars Falt on overseas courses. 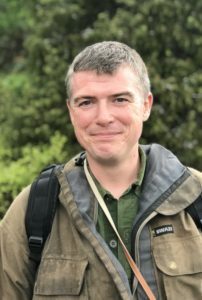 Ultimately, in the role of Course Director, Paul was responsible for overseeing the running of all of Woodlore’s bushcraft courses both in the UK and overseas. Paul continues to be a student of bushcraft and of nature. He says “There’s always more to learn; it’s massively humbling how little one person really knows about the natural world”. Paul’s travels have taken him to Europe, North America, Africa, Australia and Asia but the list of places in which he’d love to travel never seems to get any shorter.